This is very annoying to lose important data and files in Seagate hard drive. But, to give you a peace of mind, there is a possibility for you to get back the important files. 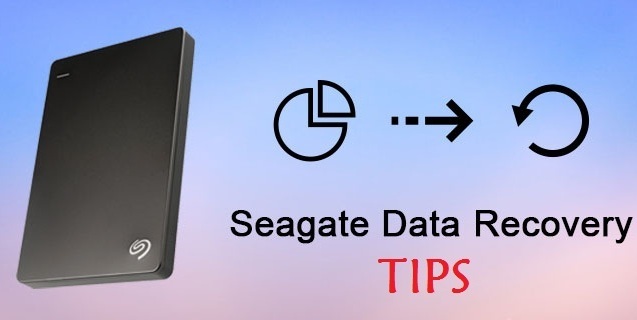 Here are Seagate data recovery tips you can do to. If you lost crucial files, documents, photos, and videos from your Seagate hard drive, just don’t panic. Follow the easy tips below to find the data back. Download a reliable Seagate file recovery software on your computer. You can find the data via online and then start the recovery process. The next thing to do is choosing the recovery mode available on the software. The next thing to do is making sure that your Seagate hard drive is completely connected to the computer. The hard drive should also be detected by the device. Once it is completely connected and detected, you should click on the “Next” button available to process the recovery. For the next step, you need to select the external hard drive of Seagate where you have lost your data. You can search as well as scan files simply by clicking on the “ Start” button displayed. The recovery software you have downloaded before will soon do a quick scan on the hard drive. This step is important to help you find the lost files from the hard drive. The scanning process might take a few minutes or longer depend on the what type of data that you have lost. Just wait for a while until the scanning process is completed and shows the result. You can go on to the next process if the software successfully finds the files you are searching for. But if the tool can’t find the data, you can try a mode of “All – Around Recovery”. The mode can search more lost files to enlarge your possibility to get the ones you are looking for. However, the scanning process can take longer time than it is needed in the first scan. Once the scanning process is completed, you will find that all the files that are possible to be retrieved shown in the list by file type. This will make it easier for you to view the files you need. You will be able to preview the files one by one and the pick up those that you want to retrieve. To find a specific file during the Seagate recovery process, you can also use “Filter” mode to help you find the data by file name. Then you can click on the “Recover” button to allow you to get back the lost data. The very first thing you should do is taking an in-depth look at the hard drive Seagate. This is very important since there are many options of software to pick in the market. They come with different quality that might not work best for your hard drive. Once you pick the wrong software, you will end up in bigger failure and it can damage your disk. In this way, you need to be careful in choosing the software to recover your lost data. In view of this, Seagate recovery software from Recoverit might become the best option to take. Recoverit is a service provider that specializes in helping people with their corrupted or lost data from both external and internal hard drive. The software provided can be used to recover all types of files include documents, photos, videos, and more. The company offers a high success rate to allow the clients to recover any data types from their PC or other gadgets. Losing files and important data on the Seagate hard drive is not a big deal anymore now. With the proper steps, you can retrieve the lost data back. To make it easier, there are also many professional Seagate external hard drive recovery software available out there and Recoverit is one of the most reliable ones in the market now.